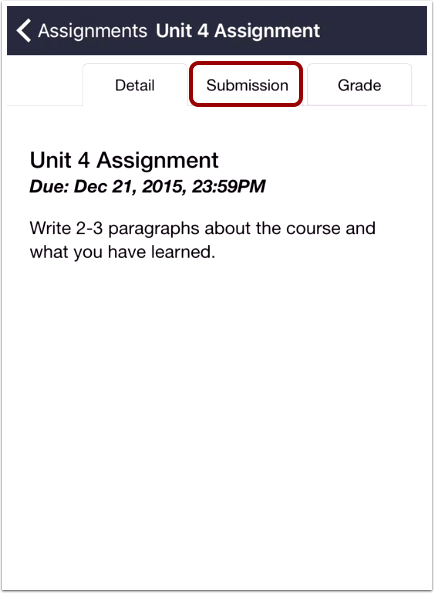 Canvas iOS - Viewing Assignment Comments from an Instructor via the Canvas iOS app. 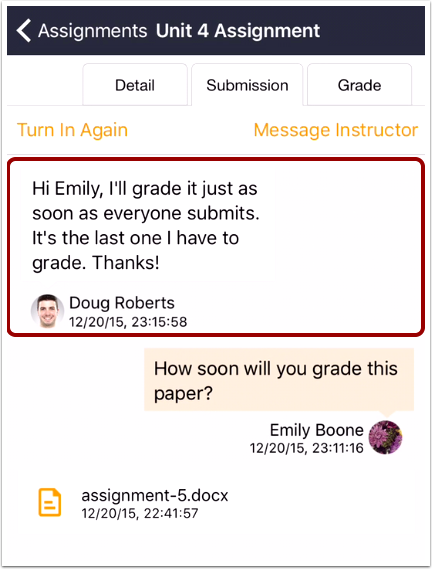 You can view comments from your instructor as part of your summited assignments. 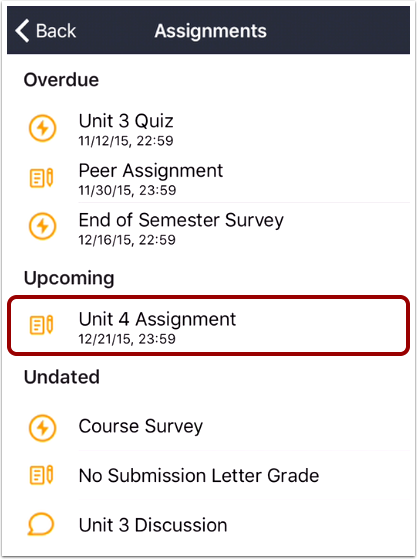 You may also make a comment in your assignment using the same process. The images in this document are taken from an iPhone but unless otherwise noted an iOS tablet will mirror the same steps. 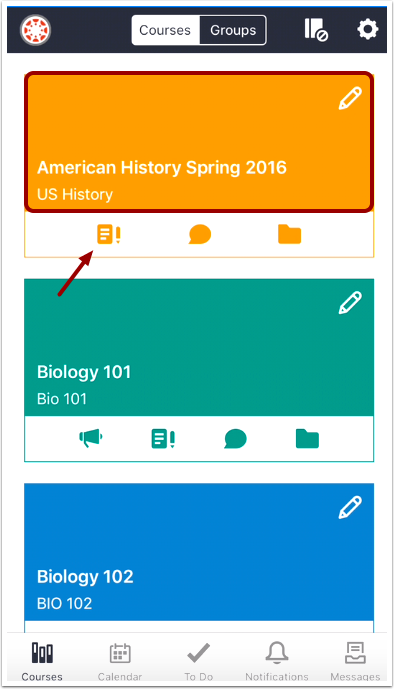 In the Courses tab, tap the name of the course you'd like to view. 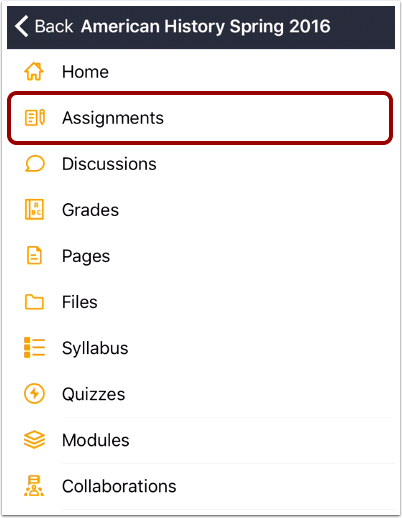 Or if it is available, tap the Assignments icon. Any comments from your instructor appear in the window.